Coronation Street's Fiz Stape commits fraud to get her hands on some desperately-needed cash. 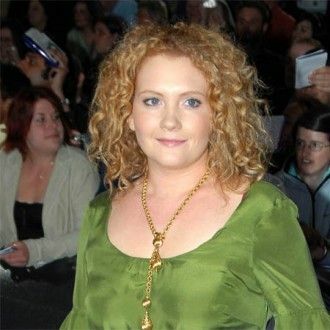 The stressed factory worker - played by Jennie McAlpine - is facing tough times with husband John (Graeme Hawley) in a psychiatric hospital and baby daughter Hope fighting for her life, and is tempted when a solicitor offers her a lifeline by telling her Colin Fishwick has been left an inheritance by his late mother Joy. John had previously stolen the identity of former pal Colin (David Crellin) to get a teaching job, leading to an eventual confrontation between the pair which left Colin dead, and though Fiz - who doesn't know about the death - was disgusted by her spouse's fraud, she continues the lie to ease her financial woes. A source told Inside Soap magazine: "Nobody can blame Fiz for thinking twice. John is in a psychiatric hospital for the foreseeable future, while their premature daughter is fighting for her life. "Fiz can't work at the moment because she's spending her time coping with her husband and baby and doesn't have two pennies to rub together as a result. "It's the last thing Fiz would have considered before the tram crash, but the terrible events that have unfolded since that fateful night have pushed her to the edge. She's driven to take the money for the sake of her family." Fiz is left uneasy when the solicitor tells her he acted on behalf of Joy (Doreen Mantle) - who was also killed by John in a bid to keep his secret hidden - for over 30 years and also worries about attending the old woman's funeral, but feels some relief when she realises how sparse the congregation is.